Our colorful rooster, Knickerbocker, ended up on our farm by accident. 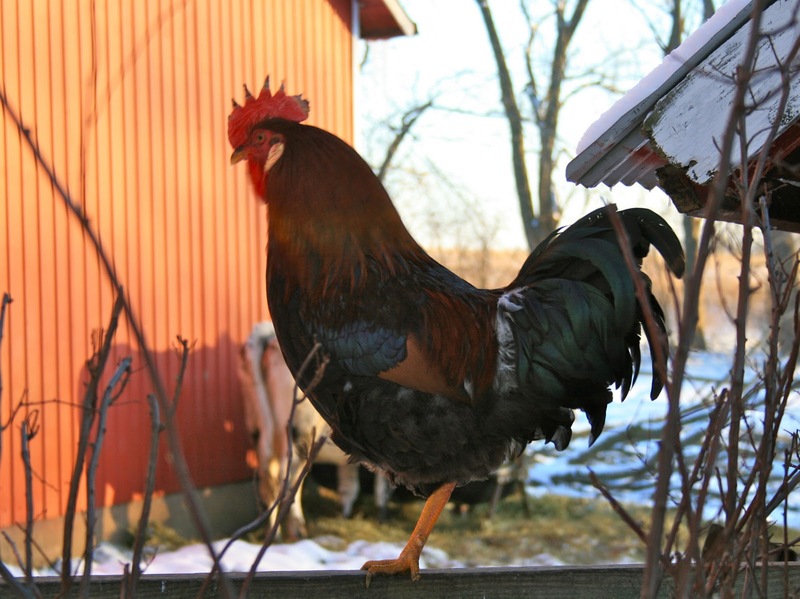 Two summers ago we raised 200 mixed-breed, heavy-body heritage breed roosters as broilers. When we took the last batch of 50 to be processed, one of the holding cage doors at the processor did not latch properly and six chickens escaped. After a merry chase over hill and dale, we captured all but one. We finally cornered him; I picked him up and discovered he was surprisingly scrawny. I decided he was too small to harvest and brought him back home with me. When my daughter Cadence saw the rooster she exclaimed, “That’s not one of our chickens!” Then I realized he did not look quite like any of the breeds we had raised. He must have been some other farmer’s escapee. But he made himself at home, happy to have won the chicken lottery and be pampered in the coop all winter with all the hens. 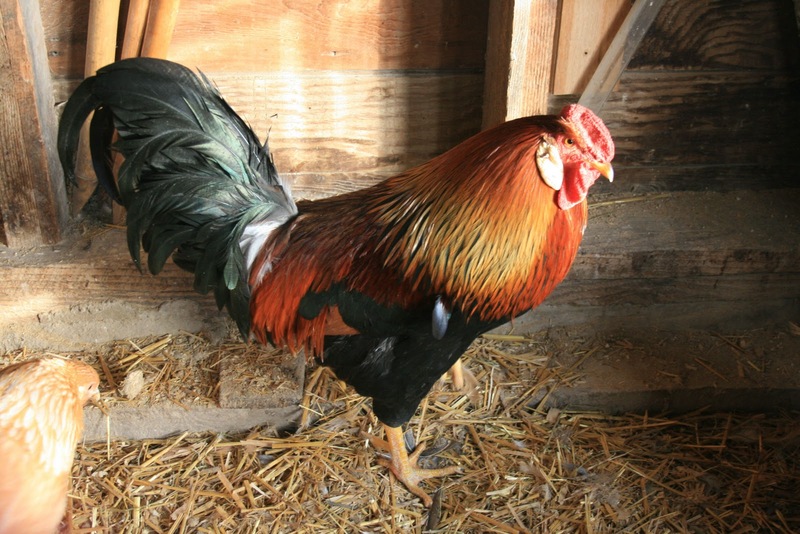 Knickerbocker grew into a studly rooster, with a huge, showy, pointy comb. I was horrified last winter to discover that the vulnerable tips of his comb had turned black from frostbite. Eventually the frostbitten tips fell off and he now sports a less flashy, rose comb. 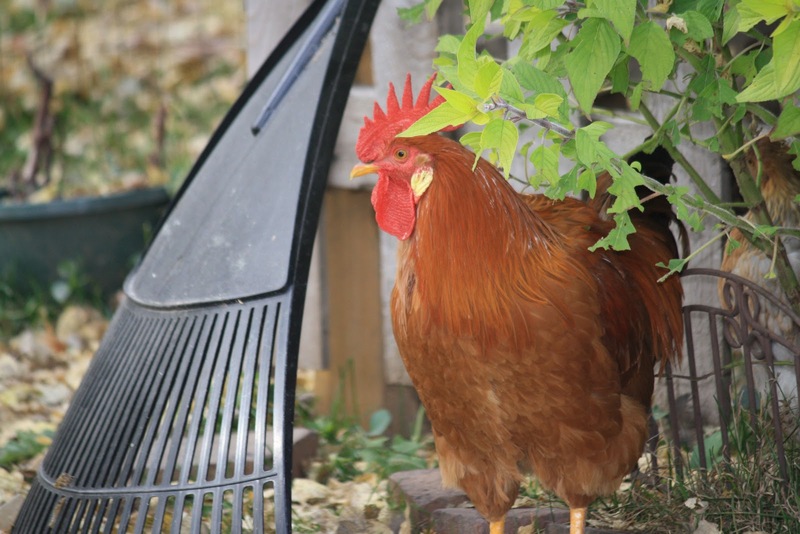 The hens still find Knickerbocker as handsome as ever, and last summer he sired many offspring. Most of the male chicks grew up to have pointy combs, although none as dramatic as their father’s. By last fall our chicken population had grown to nearly 100, with way too many roosters, so we had to harvest some. 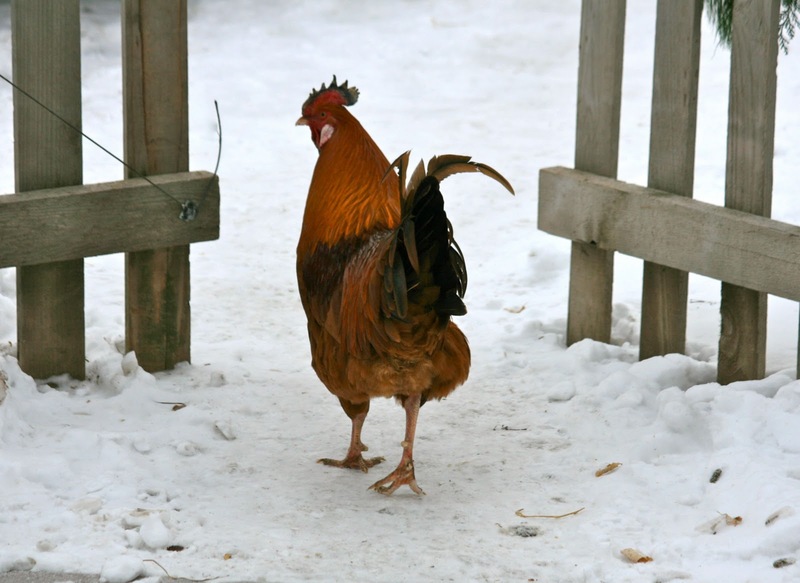 I decided my priority was to cull all of the roosters with big pointy combs that were at risk of freezing. Those wily roosters! Some of them inherited their father’s survival instincts and made themselves invisible on harvest day. So, we ended up with six pointy-combed roosters after all. It has been a very cold winter this year. By December, all of their combs were black-tipped and frostbitten. It hasn’t affected their self-esteem one whit, however; they are as cocky as ever.